Small Business Saturday is Coming; Are You Ready? 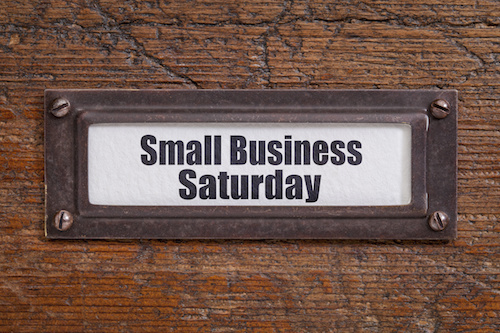 : Cebod telecom "
Have you ever heard about Small Business Saturday? I am sure if you live in USA, this is not new to you. Well for those not familiar with it, this is shopping holiday held annually in the United States of America. The Idea behind Small Business Saturday is to promote local shopping among the people and give the start-up businesses an opportunity to market their products. The shopping holiday aims to promote the local entrepreneur by giving them a platform to display their products. Additionally, it creates a more competitive selling opportunity for small businesses to market their products to the locals. When does the Small Business Saturday takes place? Small Business Saturday takes place Saturday after Thanks Giving. It is a national shopping holiday, and one of the busiest for small businesses. Every entrepreneur aims at maximizing sales and customers are eager to take advantage of the subsidized prices as they sample local products. It is actually more of product exhibition for start- up business that cannot compete with the established businesses on other selling platforms. Small Business Saturday first took place on 27 November 2010. What is so different about Small Business Saturday then Black Friday? The shopping holiday is similar to other major shopping holidays such as the Black Friday, Big Box Retail and the Cyber Monday. However, Small Business Saturday is unique in the fact that it targets start-up businesses and the upcoming entrepreneurs. Unlike other shopping holidays in the country, Small Business Saturday is a registered trademark by the American Express Corporation. The American Express promoted it in its first year throughout the country using the national television and Radio network. After the starting of Small Business Saturday in the US in 2010, the culture later spread to the UK in 2013. However, the shopping holiday is popular in the US, and shoppers wait for it eagerly every year to sample locally produced goods. Additionally, it has turned to be good season for local small businesses to maximize their profits as they show showcase their products. In other words, this is a shopping holiday when shoppers buy products that are not available in market during other days of the year. There are variety of products from local small businesses and the upcoming entrepreneurs. Prices are relatively low during the Small Business Saturday shopping holidays as many sellers use the day to market their products. Well, now you know what Small Business Saturday means and its importance to start-up businesses and upcoming entrepreneurs. The shopping holiday is here to stay, and event will take place on November 28, 2015 this year. If you are an entrepreneur or a shopper wishing to prepare for the coming Small Business Saturday shopping celebrations, the event will take place on November 26 in 2016 and November 25 in 2017.